This sequel was one of the most anticipated films of 2018 after the success reached by its first installment, directed by none other than Guillermo Del Toro five years ago in 2013 and which story created an audience fond of epic battles between Kaiju and Jaegers. After a few scheduling conflicts he ultimately passed the torch to screenwriter Steven S. DeKnight who made it his directorial debut, everything good at this point, with high hopes from the critics and the fandom, but the real let down with this movie is not based entirely on not being as great as the first one, but because at times it doesn’t seem related to it at all. 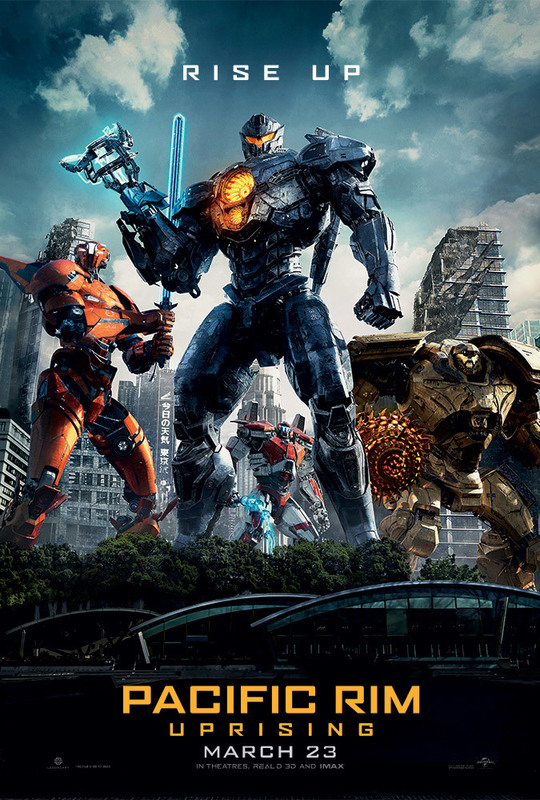 Even though Del Toro talked about this sequel back in 2014 telling a different story without robots or monsters, the movie arrived at cinemas with a premise that nobody saw coming: Ten years later after the events in Pacific Rim, we meet Jake Pentecost, who is Stacker Pentecost’s rebellious offspring who sells Jaeger parts at the black market and gets in some trouble alongside a 15-year-old Hacker girl named Amara, this describes pretty much the first half hour or so of the 1h 51min of the movie, but more than it’s slow pace and the fact that the main character is forcefully included in the narratives of both Pentecost and Mako Mori is the lack of a stronger plot that could actually surprise viewers, it is predictable, the reason many have preferred considering the first part as auto-conclusive enough without this sequel. There are just a few plot twists and critics have said the structure is as basic as any other action film made by Hollywood, with IMDb giving it a 5, 7 out of ten stars. Back to the main character, and whose script I responsible for the movie not being liked by many fans, nothing to do with John Boyega’s great acting skills seen in other works; they made it really hard to get related to him, mostly because of his attitude towards others and arrogance since the beginning of the movie which keeps viewers skeptical of him as a hero figure almost until the end of the movie. I think the “lone wolf who turns out to be a good guy at the end” didn’t worked this time, though there are moments that redeem or explain some of his motivations, they are brief. After all, special effects made justice to the original, fight scenes not only on cities but also in the water and snow, explosions, very well designed monsters and overall an impeccable job that didn’t ruin the action in my opinion, others may consider there is an overload of action elements in this film but if I had to defend something over all the things I didn’t like about this movie at this point would be this decision because it seems completely justified if you have in mind it’s superior visual quality.